“With ‘him,’ you weren’t dealing with some hood or lawyer or shyster, which is quite often what you get in the record business. You were talking on level terms with ‘him’. All of these people were talking about one man. He was born in July 31st, 1923. At two, his father was named minister to Switzerland from Turkey. Then his family moved to France, where his father was ambassador. From there his father was named ambassador to the Court of St. James. Two years later the family moved to the USA when his father was named ambassador to the US. Our subject spent many nights at the Howard, the first theater built for black entertainers and audiences. There he saw Duke, Ella, Count Basie, Billie, Louis and Lionel and he fell in love with the sounds, but also became empathetic to the victims of senseless discrimination. At fourteen his mother bought him a toy record-cutting machine and he began cutting his first records. In 1947 our subject convinced a family friend to loan him $10,000.00 and he opened his own record company in NYC. His first major signing was Ruth Brown. Miss Brown was lying in a hospital after being hit by a car. Two broken legs. The record company paid all the bills that insurance did not cover and our subject pushed her to write while she recovered. He pushed her to turn from covering mainstream music and to perform funkier, more down-home music. In 1950, she had her first #1 hit. He began writing music for the artists on his label. Finding the right sound for each. In 1952 he signed the artist that put his company on the map, Ray Charles. He also saw a change in the audience for records and began finding artists to fill that need. He made Bobby Darin a star. He walked in high society and with jazz stars, and R&B stars…and with each group, he fit in like a glove. In 1962, they signed Otis Redding and had hit after hit with this incredible talent. Also during this era, they had hits by Carla Simon, Solomon Burke, the Mar-Keys, Wilson Pickett, Sam and Dave, Percy Sledge and Joe Tex. Other artists this incredible man nurtured include, Sonny and Cher and the Buffalo Springfield. When his two partners convinced him to sell their company to a mega-conglomerate, they split $17.5 million. A paltry amount considering it’s worth today, but our subject insisted on being part of the organization and continued to run it through the 70’s, 80’s 90’s and into the new century. He signed the Rolling Stones, Led Zeppelin, Cream, Kid Rock, Phil Collins, Tori Amos and many many others. In 1983, along with Jann Wenner of Rolling Stone and four other men he began the planning for the ROCK & ROLL HALL OF FAME. All agree it was his vision. He insisted that I.M. Pei be the architect. He was inducted in 1987. In November of 2006 he went to the Beacon Theatre in NYC to see a Rolling Stones concert. While backstage he fell and six weeks later, on December 14th, the world lost this genius. Atlantic Records is the company he started. The world of music is what he helped to bring to each and every one of us. It is two months later, but THE COUCH wanted to bring the condensed story of this man to you, our guests. Please go and read everything you can about our subject. 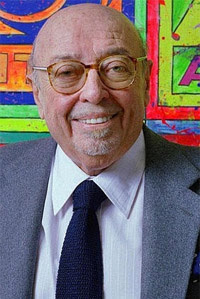 All you need to do is Google --- AHMET ERTEGUN. Thank you Mr. Ertegun…my life would have been lesser if you did not have a love for the music. What a great tribute. Amazing how one person can influence so many others. wow I loved the way you kept his name a mystery until the very end and used those quotes showing how other people saw him, brilliant! really enjoyed reading that sweetheart! and once again I learned so much from you!!! TISHA: TY belle...If I had to do it over, i would have seeded the quotes through the post... but I enjoyed writing it. You're an excellent story teller. I enjoyed that, Bond. TY Doc... Was able to get most of the information from an article that appeared in Rolling Stone about a month ago. Great post. That's a guy I would've liked to have a long dinner with some time. Wonderfully written as usual, Vinny. 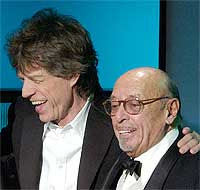 Thanks for sharing this great tribute to Ahmet Ertegun! You gave me a great idea on my post...I answered you with my twist to fit! Excellent tribute. You had me guessing until the very end. Bravo Bondbaby.... Bravo! TUG: Glad to be of service! DIXIE: Glad it worked... I wanted to build to the end. Excellent post. I loved the guessing game.. We do owe this man so much. You know I LOVE Zeppelin... Otis.. Ray.. WOOOO! Well done Sir.. well done! Great article, Vince! I also read this in Rolling Stone Magazine. What an awesome "gift" he gave to all of us. Some of the most popular and "greats" of the music industry. I have honestly never heard of this fellow - thanks for bringing him into the limelight! Really! I echo all these responses and you forever remind me of why I call you blog god! Woooo!!! Very well done! I had heard of him before and how influential he was. I'm a huge Bobby Darin fan and didn't realize he found him too. Great, great post!! A very interesting "Who Done It". Of course, I had NO clue. Excellent post! Sorry, about that. I wrote the preceding comment. While I am sure MIMI liked the post as well, I can't (or won't) speak for her again. MIMI/BUD: i laughed when i saw your comment come right after Mimi's - then I read it and laughed harder..
Have fun you two crazy kids. This man was a genius and its scary to think what the music world would look like today if he hadn't been part of it. For a really nice tribute to him you should check out Will Hoge's my space page. Will signed with Atlantic for one album and than left the label, disillusioned with the way the music business worked, not bad enough to quit making music, but he wanted to do it on his terms. But while he was at Atlantic he had a meeting with Ahmet. Will writes about it and what Ahmet meant to him, a nice tribute.